As always, message the Facebook page or email if you have any questions! If you have not signed up on Orgsync, do so here. Ensure you join both our Facebook page and Facebook group – let us know if your Facebook name is different! 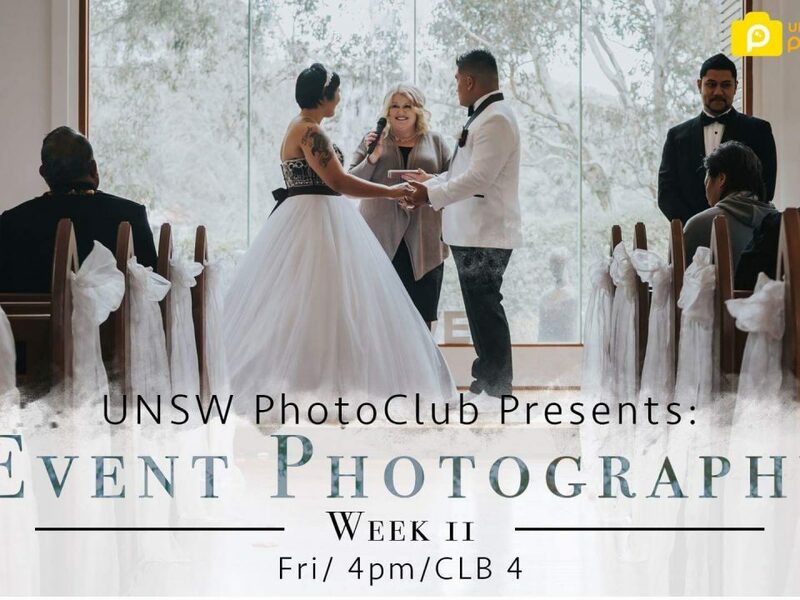 Our second last tutorial of the year will teach you all about event photography! The speakers will look at how to deal with low light, exploring both indoor and outside events as well as some specifics on concert photography and what equipment to bring. We will also be having a quick AGM (Annual General Meeting) during the week 11 tutorial as previously announced. We’re having a pizza night this week again! 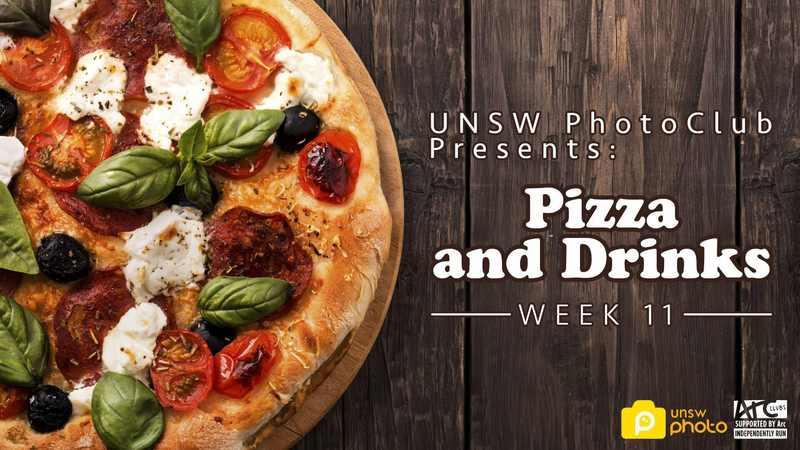 It’s free pizza and drinks for all PhotoClub members. Grab a slice and use this time to have a chat with everyone! *If you plan on staying for pizza and drinks you MUST RSVP by pressing the ‘going’ button here on our event page. **If there are any special dietary requirements, please comment them on the event page and we will do our best to cater; e.g. vegetarian, no cheese etc. 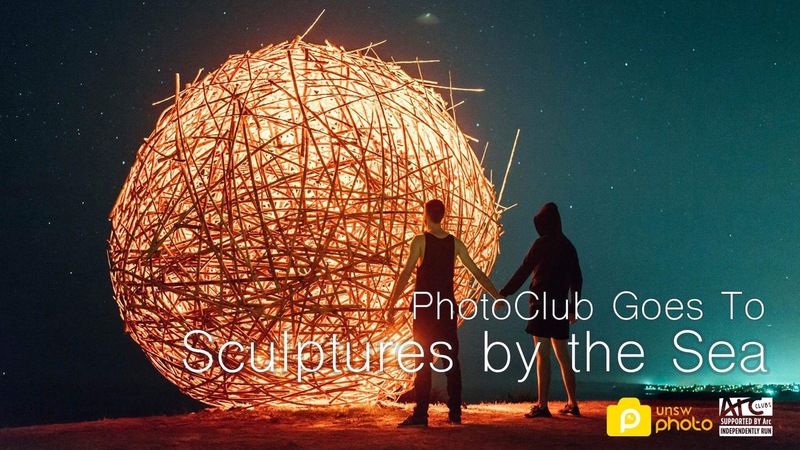 ***This event is open to 2018 PhotoClub members only (please bring your membership cards). 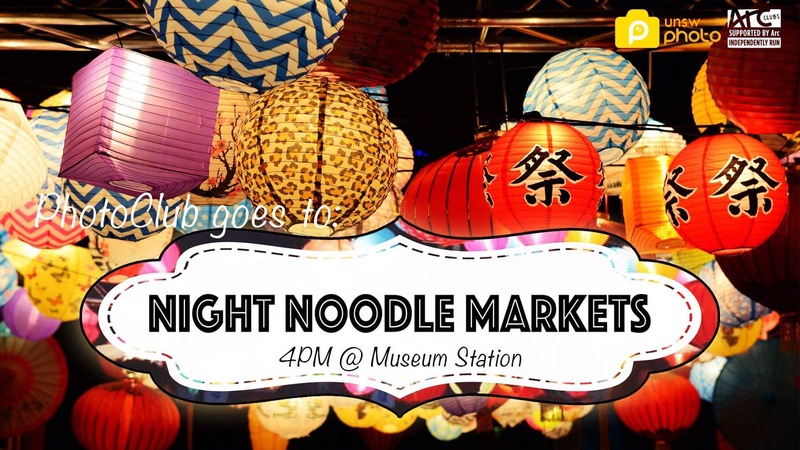 This weekend we will be checking out the highly anticipated Sydney Night Noodle Markets! Come with an empty belly and your cameras for some neon-lit food and street photography shots while chowing down on some delicious food. The meeting point will be in front of Museum Station at 4pm. Please be on time so we can stay together as it may get busy. Please keep an eye on the Facebook event on Saturday in case of wet weather. There’s a lot happening this week! We’ll be announcing the PhotoBook winners and handing out prizes! The books will also be released (we’ll email those that have got in the book to give you the opportunity to preorder as there’s limited stock). Merch will also be available for collection and purchase if you haven’t already. And finally there WILL be pizza and drinks! The tutorial plan is TBA. To finish off the semester we’ll be going to the famous Sculptures by the Sea! 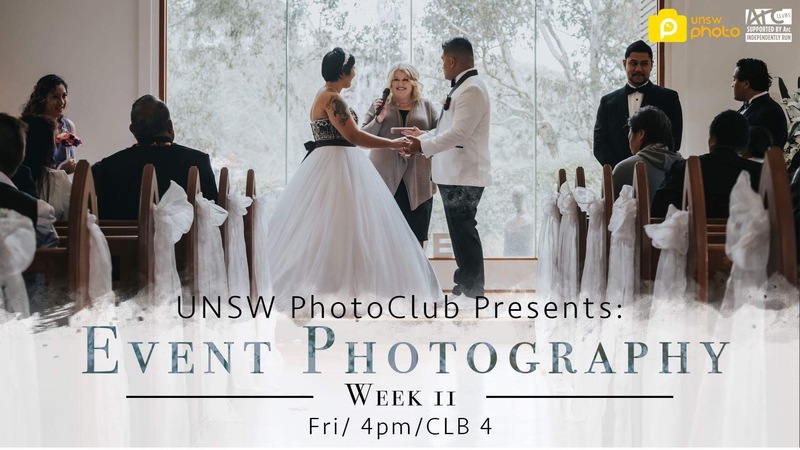 Come along with PhotoClub for the last event of the year before buckling down for exams!! We’ll meet at the Tyree Building at 4pm to then catch a bus. While the weather may still be chilly, we’re preparing you for summer! T-Shirts are on sale for only $12!! We’ve covered part of the cost for you to bring the price down! Stock is limited, so get in quick to ensure you get your size! There are also a few hoodies remaining! Questions? Reply to this email or message on Facebook!